As you may know, this Tuesday, October 1st, will be the first day that Americans can sign up for Obamacare. 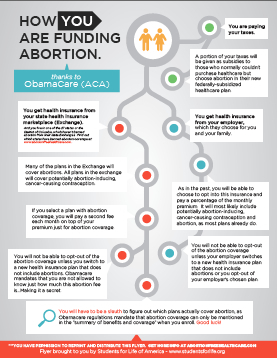 However, you may not know that with Obamacare our tax-payer dollars, money from you and I, will be paying for abortions. Obamacare has a drawn a line in healthcare, and it is a line that we cannot cross. 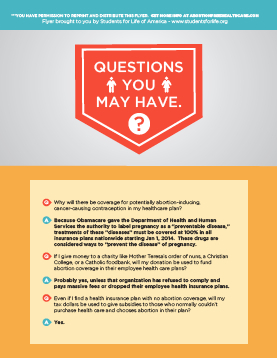 Download, print, and distribute this flyer to every pro-lifer and Christian you know. Help to educate them about what exacly is going to happen when Obamacare takes effect on January 1st, 2014. Then tell come to come back to this page and contact their Congressman and Senators like you have already done. 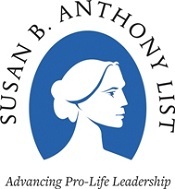 Contact Congress right now using the application to the right and tell them to stop funding abortions in Obamacare with your tax dollars and to respect the rights of employers of faith and conscience who shouldn’t be forced to fund abortions and potentially life-ending, cancer-causing contraception in their employee healthcare plans.